The “Trees” Show opening and artists’ reception was held today at the Southern Coos Hospital. The Bandon Plein Air Painters have been exploring the subject matter of “Trees” during 2012 and this was a chance to show off our efforts. The show was open to other artists who have found trees to worthy subject matter for their art. The response was wonderful with over 200 entries and a full house turnout to view the beautifully displayed collection of “Trees.” The event was expertly handled by the show coordinator, Victoria Tierney. The above smaller painting is my soft pastel painting done on my first outing with the local Monday Plein Air Painters. Several of the artists that day painted the same Madrone tree from a similar view. The show placed them together for three artists’ vision of the same tree. 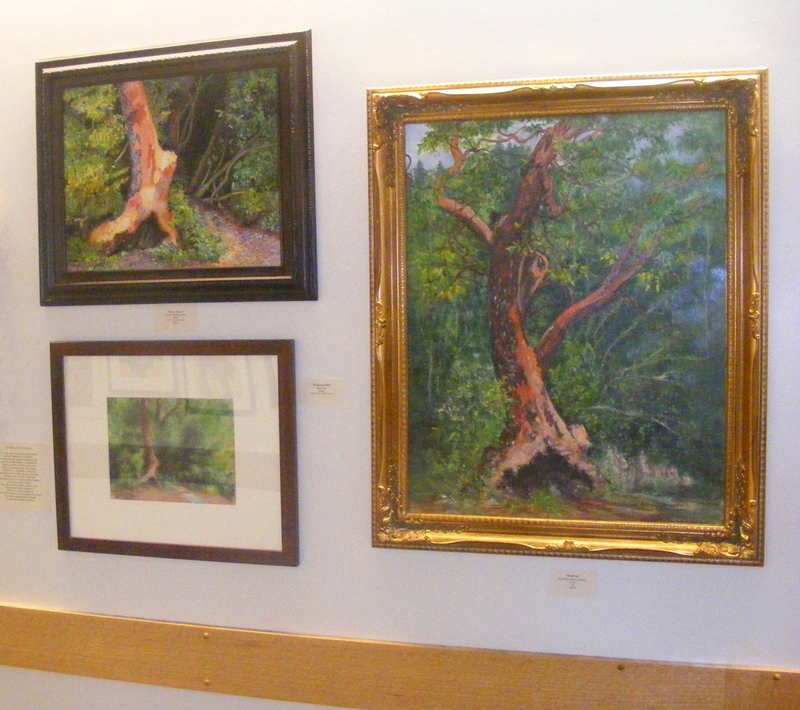 The large, gold framed tree is by Kathleen Morey Bailey and the upper painting is by the owner of the Madrone tree, Amber Harris.